The celebration of the Eucharist is the treasure of our Catholic faith. Sunday after Sunday we gather to hear the words of God through the Sacred Scriptures. We offer a sacrifice of thanksgiving as the Holy Spirit transforms our gifts of bread and wine into the Body and Blood of Christ. Each of us shares in and becomes the Body of Christ and we are sent forth to live and preach the gospel in our daily lives. This is what makes us Catholic! Here in the Order of the Most Holy Mary Theotokos, we are transitioning to the Revised Roman Missal as the standard for the celebration of the Eucharist to deepen our understanding of this “source and summit” of our faith and to join with the many others throughout the world who share in the Catholic faith tradition. It is important to remember that while we will be experiencing some changes in Mass texts, the Mass is not changing. Many of the words that we say and hear will change, but the mystery we celebrate is always the same: Jesus Christ, yesterday, today and forever! Members are encouraged to make use of the Revised Roman Missal whenever possible, however, use of any of the traditional Eastern and Western Catholic liturgies (e.g., Roman Catholic, Old Catholic, Eastern Orthodox, Anglican, Episcopal) is certainly acceptable and remains approved for use by clergy in this church. While some of these liturgies may not follow the same specific order, they do contain the essential elements of prayer, readings, offerings of bread and wine, consecration, communion, and thanksgiving. There are a variety of spiritualties in the Church... read more. 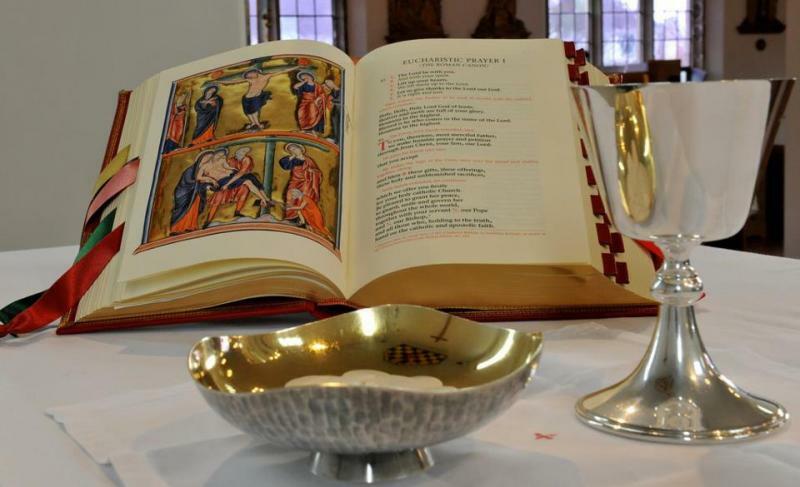 How Does the Liturgy Shape Our Lives? Being the science fiction fan that I am, I finally had occasion to watch the blockbuster movie, Avatar. The main character, Jake Sully, who does not have use of his legs, entered a computer... read more. We are a ritual people. Every day is filled with ritual; whether it is starting the day with a cup of coffee, blowing out candles on a birthday cake, or standing during... read more. The Mass follows a "fundamental structure which has been preserved throughout the centuries down to our own day" (Catechism of the Catholic Church, no. 1346). 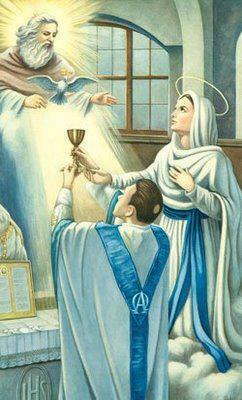 Though the Mass is one unified act of worship... read more. Over the past several years, you have heard much through newspapers, blog postings, and Twitter about the revised translation of The Roman Missal. You may be wondering, “What is The Roman Missal, and how does this translation... read more. For several years, bishops in English- speaking countries have been working together to produce a unified... read more. "The Prayer of the Faithful"
"Lord, I Am Not Worthy"
"Go in Peace, Glorifying the Lord by your Life"
From the beginning of time, communities have gathered together to give praise and worship to God through the gift of song. The style and language of that music has continually evolved and developed with the passage of time. With the... read more. THE MASS. 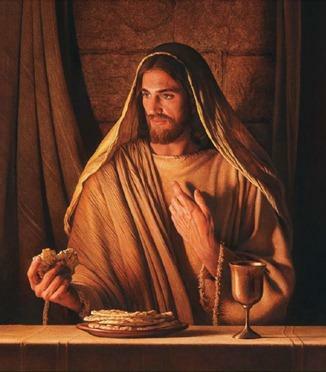 It has gone by many names over the centuries: the Breaking of the Bread, the Eucharist, the Divine Liturgy, the Unbloody Sacrifice, the Mystical Supper of the Lamb, and many more. Any title falls short of capturing what is the “source and summit” of Christian faith. And yet, every title contributes to deepening our entry into this greatest Mystery of our faith.